About: Pancreatitis is a serious condition caused by an inflammation of the pancreas, due to activation of digestive enzymes which begin to break it down. Causes: There are many causes including infection, obesity, high fat diet, trauma. Symptoms: Fever, abdominal pain, hunched over appearance, vomiting, diarrhea, loss of appetite, weight loss, yellow gums. Pancreatitis is an extremely painful inflammation of the pancreas due to the inappropriate activation of digestive enzymes which begin to break down and digest the pancreas. Normally, the pancreas protects itself from the digestive enzymes it manufacturers, stores and secretes by secreting them inactivated (zymogens) and activation shouldn’t occur until the enzymes reach the duodenum. Pancreatitis may be acute (sudden onset) or chronic (persistent). Acute pancreatitis is usually more severe than chronic. Pain can range from mild to severe. Over time, repeated bouts of pancreatitis can result in scarring of the pancreas, which makes it less efficient and can cause complications. The highest incidence is in middle-aged to senior cats, however, it can occur in young cats and even kittens. 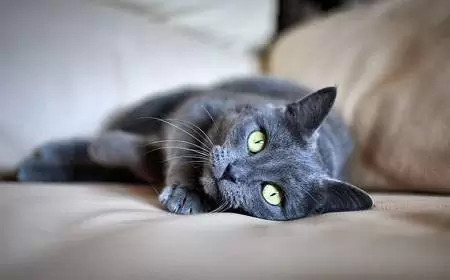 Middle-aged to older cats are most often affected by pancreatitis, although it can occur in younger cats and even kittens. The pancreas is a pale pink, lobulated organ located near the liver and behind the stomach. The pancreas performs both exocrine (secretes enzymes via a duct) and endocrine (secretes hormones directly into the bloodstream) functions. Endocrine function: Small clusters of cells called Islets of Langerhans are responsible for the production of the hormones insulin and glucagon which regulate blood sugar. Exocrine function: Pancreatic juice, a digestive enzyme rich in sodium bicarbonate which helps break down proteins, fats and carbohydrates. This juice is secreted by the pancreas and collected in the pancreatic duct, where it joins with the bile duct from the liver prior to entering the duodenum. Some acute cases of pancreatitis may also result in shock and disseminated intravascular coagulation, a condition in which small blood clots develop throughout the bloodstream. Over time, as the pancreas becomes damaged, weight loss occurs. This is due to the pancreas no longer functioning as it should, digesting food. As a result, food passes through the digestive tract relatively undigested, leading to pale coloured, loose, foul-smelling feces and weight loss. Pancreatitis may run concurrently with other diseases such as cholangitis/cholangiohepatitis, hepatic lipidosis (fatty liver disease), and inflammatory bowel disease. Pancreatitis, cholangiohepatitis and inflammatory bowel disease which run concurrently are collectively known as ‘feline triad disease‘. Complications of pancreatitis due to the destruction of pancreatic cells can include transient or permanent diabetes and exocrine pancreatic insufficiency. Biochemical profile, complete blood count, and urinalysis – May be non-specific. Pancreatic enzymes are often normal. Mild elevations of hepatic enzymes ALT can occur. Elevated white blood cells are an indication of inflammation or infection. Mild anemia may be present. The damaged pancreas may affect insulin production, resulting in elevated glucose levels. fTLI (feline Trypsin-Like Immunoreactivity) – This test measures the concentrations of trypsin-like proteins in serum. Elevated levels may be indicative of pancreatitis. fPLI (feline Pancreatic Lipase Immunoreactivity) – This test measures feline pancreatic-specific lipase (an enzyme secreted by the pancreas which breaks down fat) immunoreactivity in serum. 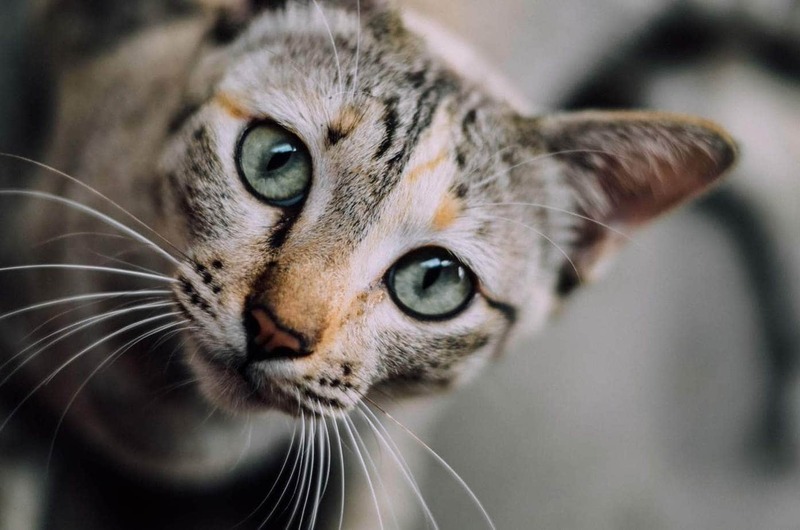 Normal levels are 2.0-6.8ug/dL, in cats with mild or resolving pancreatitis, levels may be 6.8-12ug/dL and cats with pancreatitis, over 12ug/dL. Ultrasound – Which may reveal an enlarged and thickened pancreas with dilated pancreatic ducts. Laparotomy – Surgical incisions are made in the abdomen to allow your veterinarian to examine the organs. In this case, the pancreas. Biopsy of the pancreas, liver or intestines may be of additional help. Analgesics (painkillers) for abdominal pain. These may include morphine or transdermal fentanyl patch. Antiemetics (anti-nausea medication) – To treat nausea and vomiting. Nutritional support – This treatment essential, this may be via nasogastric, nasoeosiphogeal or jejunostomy tube if the cat is unwilling to eat. A bland diet such as Hills i/d will be fed. Supportive care such as intravenous fluids to prevent or treat dehydration and correct electrolyte derangements. Surgery – To remove necrotic pancreatic tissue. Blood transfusion – This may be plasma or whole blood. The prognosis depends on the severity of the disease, and if hepatic lipidosis or pancreatic necrosis have occurred along with complications (such as DIC) and concurrent disease. Feed a low-fat, highlty digestible diet. Bloated or Pot Belly in Kittens – What Causes a Pot Belly?